Pork & Black Bean Caldo Slow-roasted Gunthorp pork shoulder, braised local black beans with roasted tomato, fresh fennel, kohlrabi, epazote. 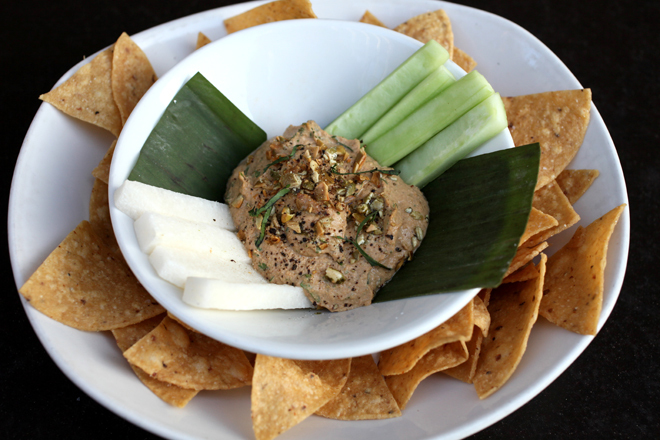 Sikil Pak Smooth dip of pumpkin seeds, roasted tomato, sour orange, habanero. Served with cucumber, jicama & tortilla chips. 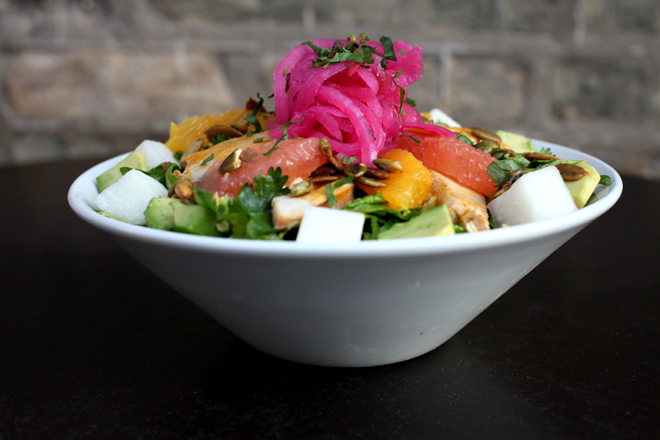 Smoked Chicken-Citrus Salad Smoked Gunthorp chicken breast, orange & grapefruit, avocado, romaine, citrus-achiote vinaigrette. 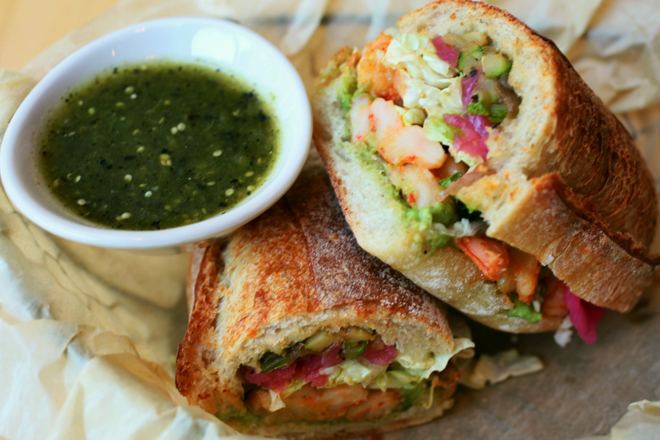 Wood-Oven Shrimp Torta Habanero-cilantro crema, guacamole, roasted poblano, napa slaw. We fully support you delving deep into our new Yucatan dishes, especially since they won’t be around forever. But tread lightly. Start with the smoked chicken-citrus salad. 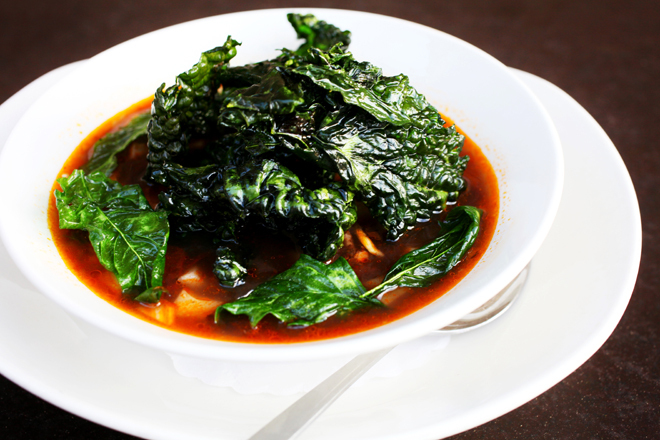 Or the pork-and-black bean caldo. You could dive right into the sort of hummuslike sikil pak, or the shrimp torta, but be warned: Those suckers are hot.